Call me crazy, but I like it. I've long used the analogy that when I switched from the agency side to the client side I came in with loud bright fun colors. But, everyday I'm on the client side, the corporate is trying to convert those colors to black and white. Do not like. I see what they're trying to do but the clown phobia thing is hard to shake. 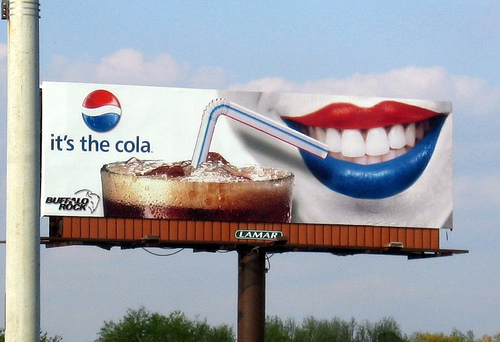 Pepsi: The choice of Sweet Transvestites.